Battlefield 4 has been hit by a denial of service act, causing the PC version's servers to be inaccessible over the weekend. The DDoS attack was confirmed on the game's main site and forum by a DICE staff member who assured players that a solution is being worked on. No particular group has claimed responsibility for the attack. 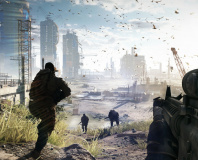 Several players on the forum also point out that the DDoS has not made a significant impact on their impression of Battlefield 4 as even before the attack, servers had a tendency to crash frequently. 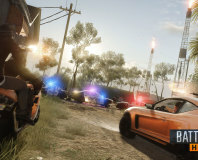 The attack had impact beyond simply taking multiplayer servers offline as some players who did manage to log in found that they had lost their multiplayer progression and stats with the game booting them back to starter equipment. As well as working on a solution to the DDoS attack, DICE is also working on a new server update to resolve more long term connectivity issues which is planned to be deployed next week. The Playstation 4 version of Battlefield 4 has also suffered from repeated crashing which publisher EA initially blamed on Sony, stating that the day-one firmware update was causing crashing, freezing and non responsive connections between the console and the screen. EA has since retracted the comments, saying that they had been posted in error. 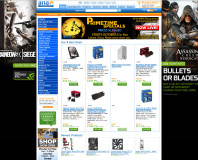 Battlefield 4 was released at the end of October on the PC and current generation consoles and was also one of the launch titles for the Playstation 4 which launched at the end of last week in North America.